TAKE ANY OF OUR ONLINE CLASSES- CLICK ON A LINK BELOW ! WE ARE WORKING WITH THE CE SHOP TO OFFER YOU SIGNIFICANT DISCOUNTS ! Call 631-563-7720 to Call Us And Get A Discount Code For The Day You Sign Up ! TAKE A CLASS APPROVED THROUGHOUT THE COUNTRY- CHECK US OUT TODAY! We administer the facilitation of the class and you can take the proctored exam at our School or any approved library, etc, throughout the country. 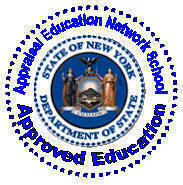 The Approval code will be our school and the CE SHOP As the administrator of the on line program for us. Our Online Courses with Proctored Exams are discounted. This gives you the flexibility to be able to get your Real Estate Salespersons License in N.Y.S.- Start by taking our course- On-Line NOW!!! We can proctor the exam for you for the 75 Hour Salespersons Class- Our proctor code is NY321. Don't forget we can proctor your exam for you at no expense or added charge. We want to be the solution not the problem! 2. Take the Final Exam at our school. Once you complete the course you will be permitted to take and pass the final to receive your 75 hour Sales course certificate. We can proctor the exam for our students exclusively. Our Proctor code # is NY321; our Merrell Institute Code is 436. 4. Find the Real Estate Brokerage Firm you wish to work with. You must be comfortable with the firm and the firm must be comfortable with you. It may seem like give and take, but it is a great way to see what you want to achieve, and what the firm will make available to you. These include local firms, regional firms and franchises. You must be happy with the Real Estate Firm you work with. In order to succeed, time and energy are your 2 greatest assets. It takes time to sell a home, time to close a home, and it takes time to understand the rules of your new office. 5. 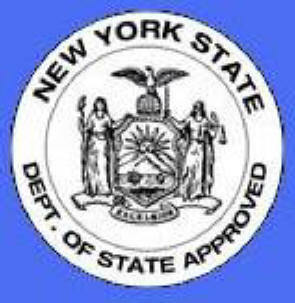 Mail your completed application, with your school 75 Hour course certificate, your NYS License Exam Pass Slip and the Real Estate Broker affiliation letter. 7. Call us for details for courses in other states.